Reynolds Contracting is the AB Chance certified dealer for the Central Virginia area. We specialize in top quality foundation repair with products that are researched, developed, and made in the USA. Using the Chance helical system, we can improve your property for years to come. 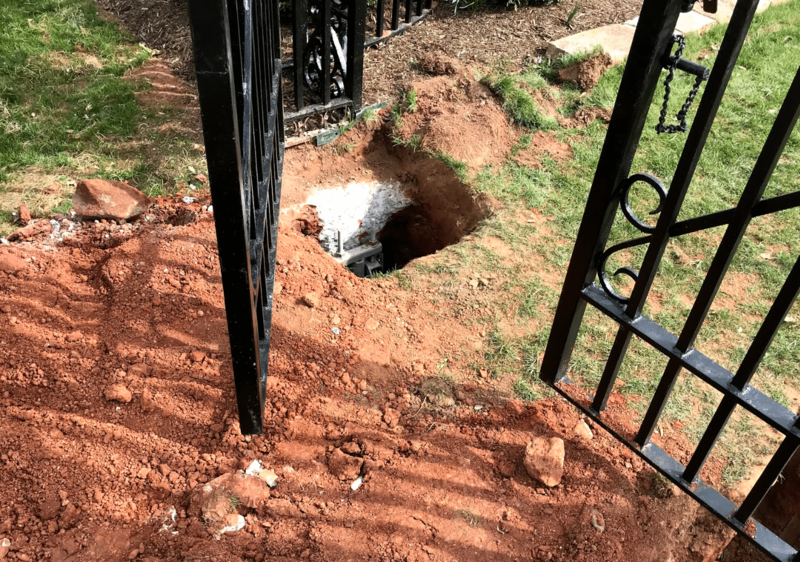 Our experience ranges from foundation repair to waterproofing to new construction – the list goes on and on. 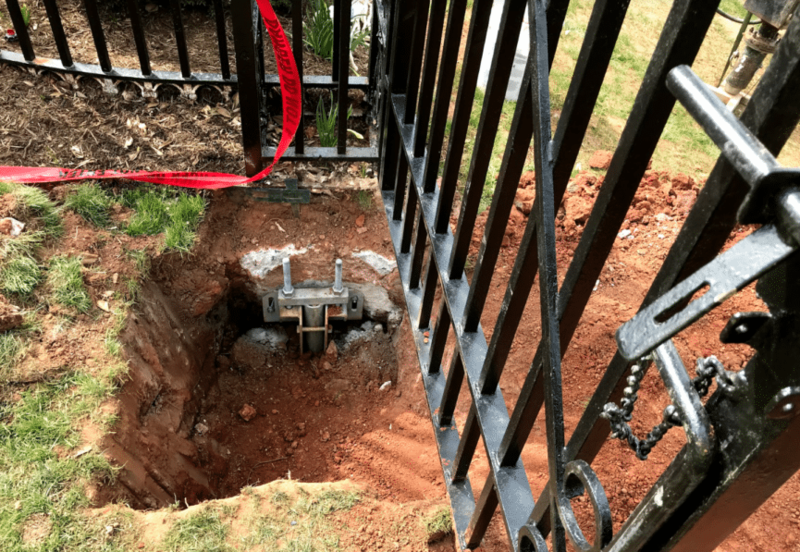 In one of the more unique applications, we used the Chance system to support an iron gate at a Charlottesville residence. The gate serves as the entrance to a fenced-in backyard. The weight of the gate pulled significantly on the support posts, causing the gate to sag inward and not open properly. 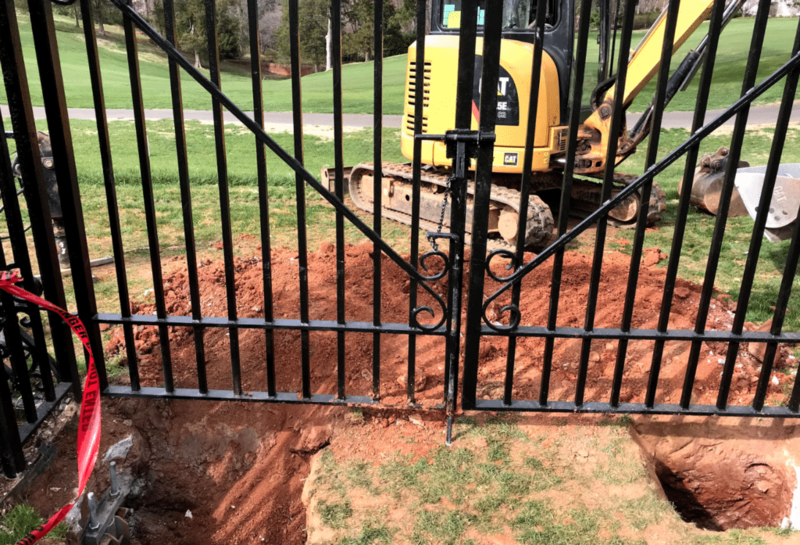 We installed helical piers under each side of the gate. The piers lift both of the support posts at each hinge. Now the gate is level, and easily opens and closes as both sides line up evenly. The Chance helical system has many different applications with an outstanding success rate. Since early 20th century, Chance has led the way in anchoring techniques that have been refined and improved to what we know and use today. We offer the best the industry has to offer, with leading research, state-of-the-art technology, and top quality products you will only find with Chance. Our installers are trained and re-certified every two years, ensuring we use the latest methods of installation efficiently and safely. For top quality foundation repair in the Central Virginia area, contact Reynolds Contracting. Our estimating team looks at each problem with experience and innovation. Choosing an AB Chance certified dealer provides you with peace of mind that you are getting the best solution to your property’s needs. We look forward to serving you for all of your small residential or commercial contracting!